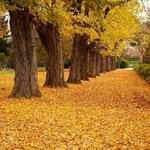 Discover magnificent parklands and reserves surrounding Albury The century old, award winning Botanic Gardens at the top end of Albury's main street are beautifully manicured and cared for and well worth a visit. In summertime, the Murray parklands offer relief from balmy days. With many hotels, motels, self contained apartments and other accomodation in the area Albury is a great place to stay for all holiday goers. Quality Hotel on Olive Quality hotel motel accommodation - Albury leisure, corporate, convention & hospital accommodation close Albury Convention Centre. Quest Albury 4.5 star studios, 1, 2 & 3 bedroom self contained serviced apartments in the heart of the Albury CBD.